Guess what, Tesla: you’re not the only car maker getting into the home battery game. 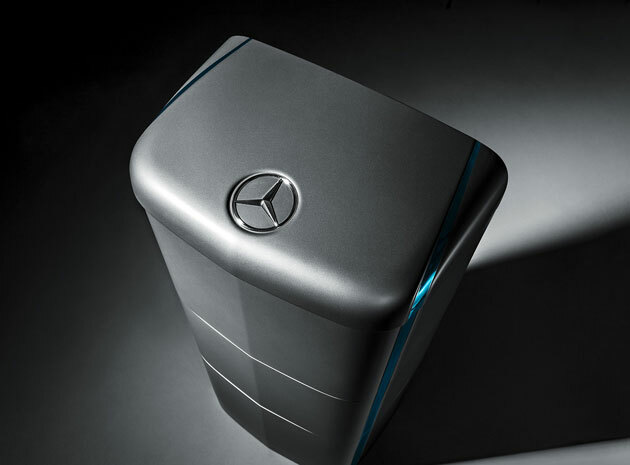 Mercedes-Benz has unveiled a personal energy cell that, like Tesla’s Powerwall, uses giant batteries to store surplus power from your home’s solar panels and keep you off the conventional energy grid. The German firm is taking a more modular approach than its American counterpart, though. Each pack only holds 2.5kWh of electricity, but you can combine up to eight of them to hold 20kWh, or twice as much as a Powerwall. That potentially suits it to certain businesses, not just your own abode. Whatever you think of Mercedes’ pack, it may be your best hope of getting some clean energy storage in the near future. With Tesla’s unit already sold out through mid-2016, you may have little choice but to register for the Mercedes equivalent and wait until it ships in September.